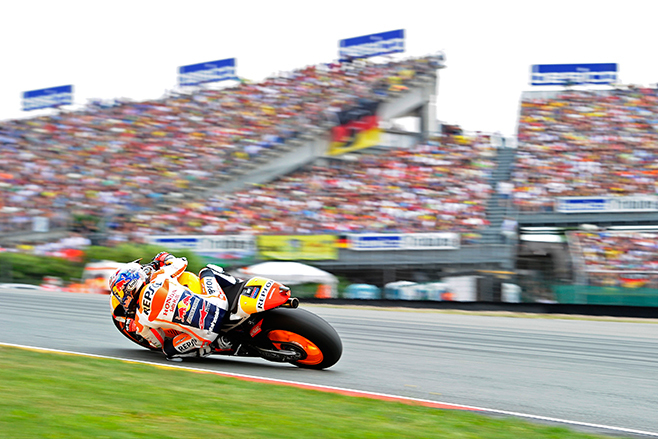 Dani Pedrosa has a very good record in Germany too, having won here 6 times in total across MotoGP and 250cc classes. Before the race he said that if he could get a good start and stay at the front for the first few laps, it would make all the difference. 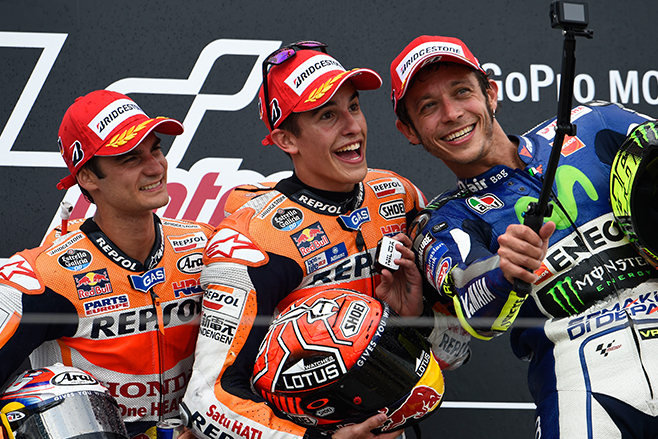 Pedrosa joined teammate Marc Marquez on the podium, securing a 1-2 for the Repsol Honda team. With Rossi’s teammate Jorge Lorenzo coming in 4th place, the Movistar Yamaha duo did enough to maintain their positions at the top of the championship standings, with Rossi enjoying a 13 point lead over Lorenzo. Andrea Iannone (Ducati Team) claimed 5th position, followed by British riders Bradley Smith (Monster Yamaha Tech 3) and Cal Crutchlow (CWM-LCR Honda) in 6th and 7th respectively. Pol Espargaró (Monster Yamaha Tech 3), Danilo Petrucci (Octo Pramac Racing) and Aleix Espargaró (Team Suzuki Ecstar) complete the top 10. Round 10 of MotoGP continues 9 Aug in America.